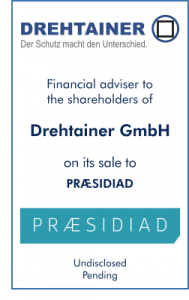 Drehtainer GmbH, a leading manufacturer of mobile protection systems, is to be acquired by PRÆSIDIAD. 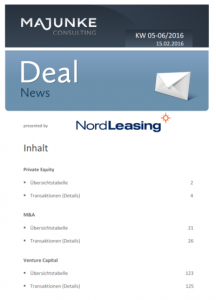 Steen Associates acted as sole financial adviser to the shareholders of Drehtainer GmbH. Drehtainer GmbH is headquartered in Valluhn, Germany, and supplies a range of NATO armies with protective infrastructures, command posts and mission critical mobile protection systems. The company has a long-standing history of supplying protected camps to the German, Australian, British, Canadian, Dutch and Swiss armed forces to support operations for critical missions worldwide. PRÆSIDIAD is a leading player in the outdoor perimeter protection sector. Its subsidiary Hesco specializes in defence, perimeter protection and security systems, including barriers, rapid deployment systems and safe haven bunkers. Acquiring Drehtainer complements Hesco’s product portfolio and provides immediate access to additional technology and customers. Drehtainer on the other hand will strongly benefit from PRÆSIDIAD’s experience, capital and global distribution network to drive further growth. 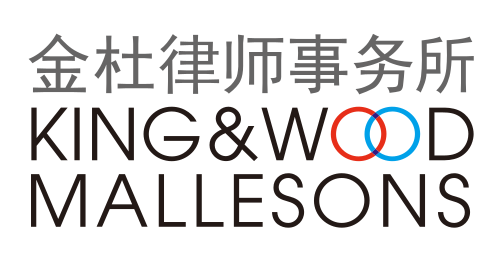 The proposed transaction remains subject to regulatory approvals.